This has been, in the parlance of our times, a BIG F-ING WEEK. I hit three major milestones, one of which was on schedule, one of which came as an early surprise, and one which I had to crank through a major weekend of work to hit a month ahead of schedule, because opportunity knocked. 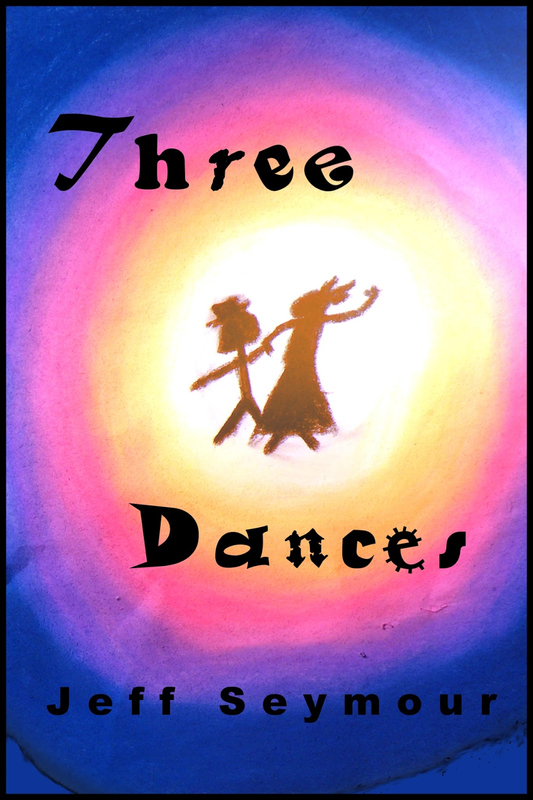 Milestone #1: Three Dances exists as an e-book. 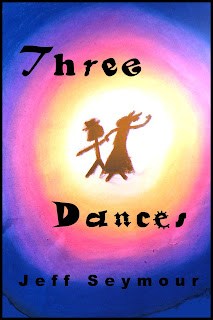 I finally finished design and production work on my upcoming short story collection. It now exists as a .PDF, an ePub (the file type every e-reader but the Kindle family uses), and a MOBI (the Kindle file type). I cannot tell you how exciting this is for me. All that’s left now is proofreading on as many reading devices as I can possibly squeeze it onto, distribution to prepub reviewers, press releases, a launch party to plan...y’know, the usual. And I’m going to go ahead and announce a release date: Saturday, April 13th! I’ll start putting stories up on Wattpad this weekend. 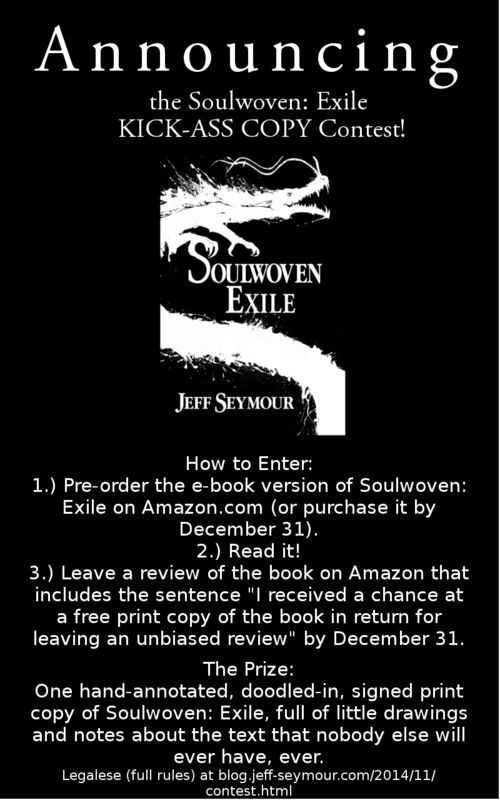 In the meantime, if anyone wants to help me out by proofreading an advance copy, e-mail me at jeff at jeff-seymour.com. (I need your help. I only have access to a Samsung Galaxy S3, an old Kindle, and an iPad, meaning I can’t verify that the file will work properly on a Nook, a Kindle Fire, an iPhone, or any other devices without you). Milestone #2: Nadya is out on submission. I was planning to spend March line editing Nadya and send the book out to agents in April. But last weekend I got a newsletter from an agent I’ve done editorial work for, and she mentioned that she has editors knocking her door down for mid-grade fantasy with sweet romance. Or, as I like to think of it, for Nadya. So I marathoned through the line edits in two days (it’s my job, remember?) and sent the manuscript off to her on Sunday night. I’ve since sent it to a couple other agents as well. I queried most of them for Soulwoven last year. And I can’t thank you all enough for your support on that book, because I was able to tell them that since they last saw Soulwoven, it’s gotten massive support on Wattpad. Which brings me to Milestone #3: Soulwoven has hit 200,000 READS! I can’t explain the sudden upswing in support for the book this month, but it’s been huge---50,000 reads in 28 days. Thank you, thank you, thank you for everything you’ve done for this book. This is how books get big. This is how careers launch. This is how stories spread their tentacles out and grab hold of lives and shake them, or hold them, or innervate them. Stick with me, and tell your friends, because we’re just getting started.